Adalı borne in 5th of January 1948 Eğirdir / Isparta, and lived in Istanbul. He graduated from Pertevniyal high school in 1965 and started to study at Electrical Engineering Faculty of Istanbul Technical University. He graduate in 1971 and started to work as research assistant at the same Faculty. Adalı was visiting research fellow at Case Western University (Cleveland OH) in 1977-78, visiting professor at Carleton University (Ottawa, CA) in 1979 and Akron University (Akron, OH) in 1985. Adalı had worked at Marmara Research Center as head of Informatics Group in 1990-91. He formed this group. He is working basically in three fields: 1o : Microprocessor and microprocessor based system design, 2o : Natural Language Processing and 3o : IT System Analysis and Design. He has two published books : “Microprocessor and Microcomputer”, “Real Time Systems”. He completed several R&D projects like: CNC Copy Mile, Military Surveillance Systems, Milgem, 112 Systems for Bursa Police Department, National Census System. 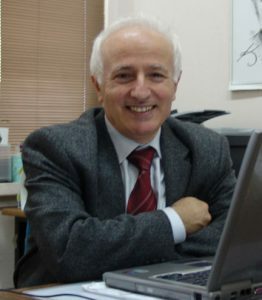 He was the pioneer to constitute of Department of Computer Engineering (1998) and Faculty of Computer Engineering and Informatics Faculty (2010) of Istanbul Technical University. He was the first and founder dean of the Faculty. IFAC Computer and Manufacturing Tech. Com.